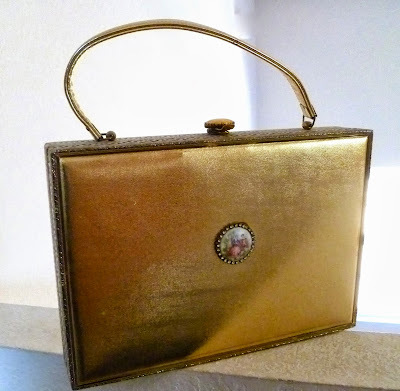 Large Briefcase Style Gold Purse with Cameo. 1960s. No maker tag. Gold lamè purse shaped like a briefcase, encased in a goldtone cage-like frame. 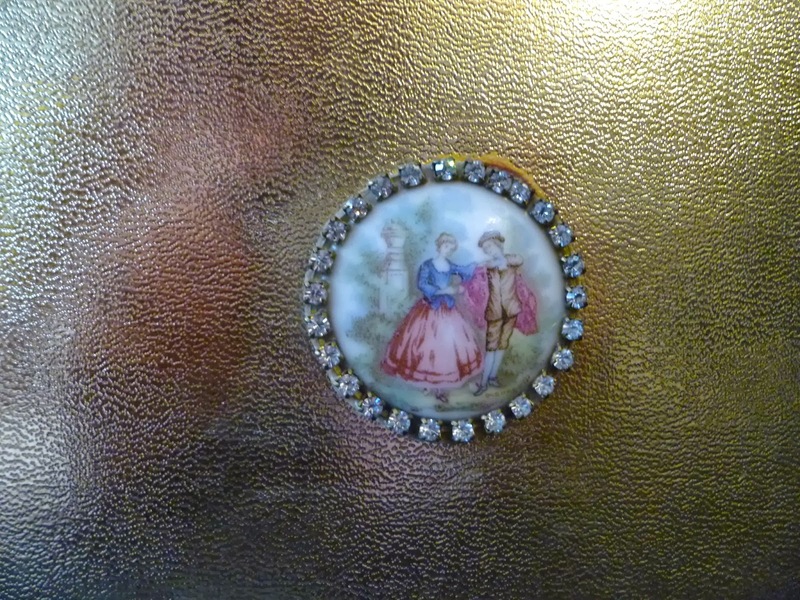 On the front is a porcelain cameo of a romantic couple, surrounded by rhinestones. Gold lamè handle. Button-topped closure. Peach moiré interior. No maker tag, but looks a lot like a Tyrolean, a very desirable and expensive purse manufacturer. My friends and I used to joke that we’ll know we've become old ladies once we love everything in gold—decorations (like the acrylic grapes on my dining room table), fixtures (the cherubs on my old lamp), and now, purses. I have a ton of them in gold. I’ve never used this one because it weighs too much even without stuff in it!